I love the look of my bedroom. It brightens the room and makes it my happy place. Bring a compelling visual style to your bedroom with this grey and yellow 5-piece comforter set from 510 Design. With a sturdy construction and detailed embroidery, the contrasting colors of this bedding set give it an engaging style while its microfiber construction makes it luxuriously soft. This comforter set was for my daughter who’s been asking for a yellow and grey set! She loves the look and it complements her cherry oak furniture. Was looking for a soft yellow and gray colored comforter. Seemed like good quality but the color was a little too bright for me. I returned it. Loved the colors and the fabric is so soft. It was just what I was looking for. 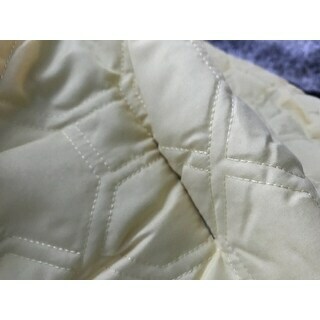 My only problem is that the design is stitched on and some of the stitching was unraveling when I received it. Luckily its on a part that hangs off the bed so it's not noticeable and my mom was able to fix it. Perfect b doing and exactly what I was looking for. Love the different patterns and textures. Looks great in the master suite and my husband likes it too!! Super soft fabric and so stylish. "I received mine. 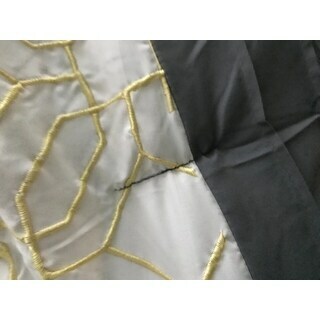 It has random lines of black thread sewn into comforter. Do all of them have this? " "Are both ends of the duvet yellow? It's folded over in all pics and so not visible. Thanks!" Only the bottom portions are yellow.